Endothelial cells have an important role in maintaining vascular homeostasis. Age-related disorders (including obesity, diabetes, and hypertension) or aging per se induce endothelial dysfunction that predisposes to the development of atherosclerosis. Endothelial cells have an important role in maintaining vascular homeostasis. Age-related disorders (including obesity, diabetes, and hypertension) or aging per se induce endothelial dysfunction that predisposes to the development of atherosclerosis. Polyphenols have been reported to suppress age-related endothelial cell disorders, but their role in vascular function is yet to be determined. We investigated the influence of boysenberry polyphenol on vascular health under metabolic stress in a murine model of dietary obesity. We found that administration of boysenberry polyphenol suppressed production of reactive oxygen species (ROS) and increased production of nitric oxide (NO) in the aorta. It has been reported that p53 induces cellular senescence and has a crucial role in age-related disorders, including heart failure and diabetes. Administration of boysenberry polyphenol significantly reduced the endothelial p53 level in the aorta and ameliorated endothelial cell dysfunction in iliac arteries under metabolic stress. 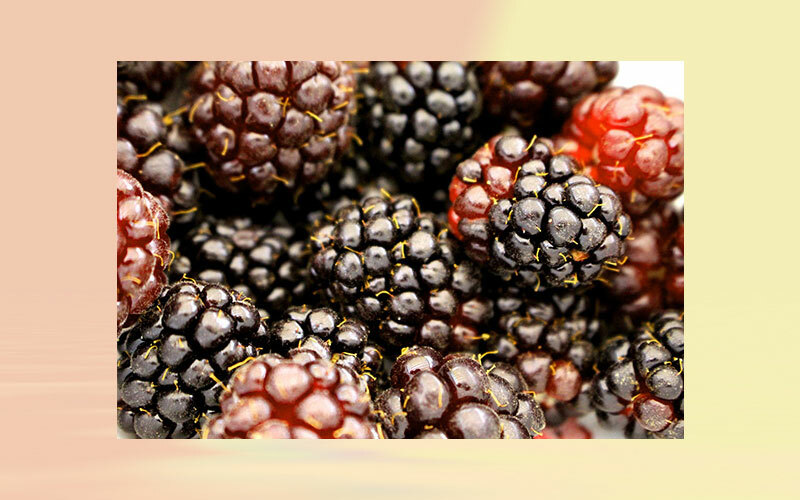 Boysenberry polyphenol also reduced ROS and p53 levels in cultured human umbilical vein endothelial cells (HUVECs), while increasing NO production. Uncoupled endothelial nitric oxide synthase (eNOS monomer) is known to promote ROS production. We found that boysenberry polyphenol reduced eNOS monomer levels both in vivo and in vitro, along with an increase of eNOS dimerization. To investigate the components of boysenberry polyphenol mediating these favorable biological effects, we extracted the anthocyanin fractions. We found that anthocyanins contributed to suppression of ROS and p53, in association with increased NO production and eNOS dimerization. In an ex vivo study, anthocyanins promoted relaxation of iliac arteries from mice with dietary obesity. These findings indicate that boysenberry polyphenol and anthocyanins, a major component of this polyphenol, inhibit endothelial dysfunction and contribute to maintenance of vascular homeostasis.